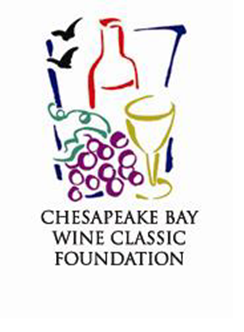 The Chesapeake Bay Wine Classic Foundation (CBWCF) is a non-profit, charitable organization dedicated to the belief that the future strength and prosperity of our region and nation are dependent on the education of our youth. We are thankful CBWCF is one of the top supporters of the ACCESS College Foundation, having provided nearly four million dollars in revenue to ACCESS since 1999. ACF is the primary beneficiary of the proceeds of the CBWCF’s Grand Auction each year. Click here to buy tickets to their events! The generous, charitable work of CBWCF has enabled ACCESS to serve thousands of students and change the lives of so many. 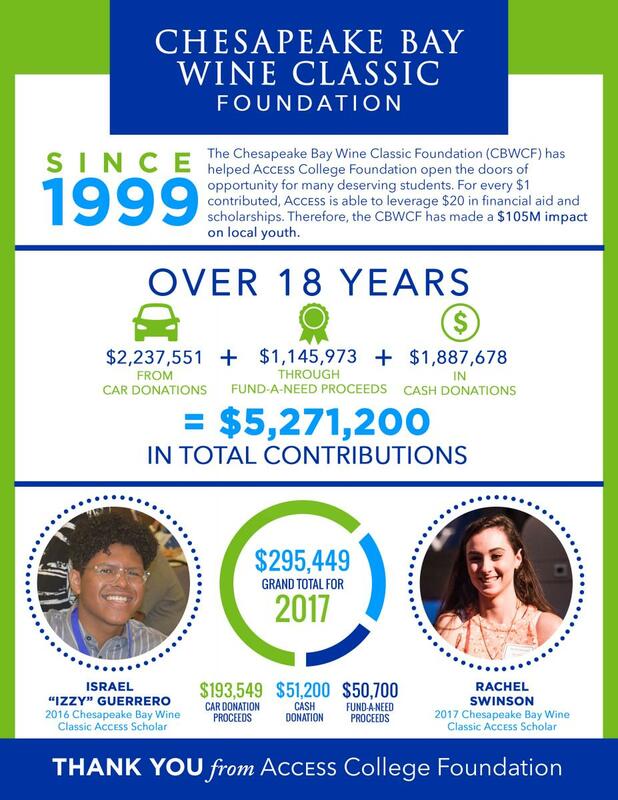 In 2016, in honor of the support CBWCF has provided over the years, the ACCESS Board of Directors established the Chesapeake Bay Wine Classic Scholarship in the amount of $25,000, which will be awarded to one ACCESS Scholar each year. Click here for more information about this year’s recipient!